White people should not be allowed under penalty of death to make movies about Africans or other Black people. That massively patronizing white savior thing they have going on makes all white people look like supremacists & damn fools. 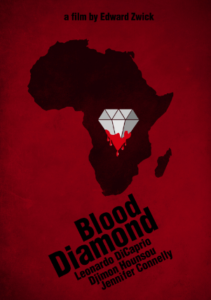 I just watched “Blood Diamonds,” a 2006 German-American movie starring Leonardo DiCaprio & cringed through the whole rotten thing which at times approached parody. Set during the Sierra Leone Civil War in 1991–2002, it presents itself as a film against conflict diamonds but it portrays Africans either as psycho thrill killers or as pathetic, emotion-driven halfwits who need white people for remedial training in civilization. Not unlike how Black Americans are portrayed in film except with child soldiers rather than prostitutes. The history of Blacks in the US stunk of such putrid stuff until the civil rights movement of the 1960s when Black studies departments & Black scholars began to correct the historic record. It won’t be soon that Blacks can play a leading role in producing films. But until that time it is deeply regrettable that Black actors have to participate in creating this cinematic swill rather than dramatic presentations of the richness of their lives. Thousands of Hondurans have formed a caravan & forced their way across the southern border of Mexico on their way to the US border. Trump is threatening to cut funding to Honduras which would be a good thing since most of it is for US military operations & to facilitate drug trafficking through the region. He’s also threatening to send the military to the US border to prevent them from crossing. Empty threat since it’s illegal to use the army for law enforcement but it shows his mentality. What is glorious to see is the refusal of refugees to be intimidated by his threats & their determined demand for asylum. Open the damn borders. No human being is alien to us. Immigration is a human right. Asylum for refugees is international law. Nothing has highlighted the absolute criminality of modern governments more than the refugee crises around the world. In the US, hundreds of children are kidnapped & incarcerated; European governments turn away war & economic refugees even in the dead of winter or let them drown by the thousands in the sea; Bangladesh is making plans to deport Rohingya refugees to an uninhabitable island in the middle of nowhere; Indian courts are establishing the ‘legalities’ of an all-out assault on the 40,000 Rohingya refugees who fled there since the 2012 genocidal onslaught in Burma. India’s substantial business investments in Burma, its occupation of Kashmir, Hindutva nationalist government with political affinities to Burma’s genocidaires, campaigns against undocumented immigrants, & persecution of Muslims dovetail its treatment of Rohingya refugees. It was only a matter of time before the Modi regime made its moves against the Rohingya living in India. 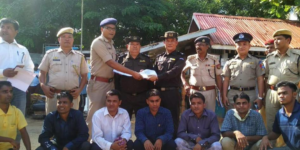 This is a photo from October 4th of Indian officials handing over seven Rohingya men (those kneeling in the front) to Burmese authorities for forcible deportation to Arakan/Rakhine state. All of the men had fled to India in the 2012 military onslaught when the Rohingya genocide first came to world attention. In India, rather than given asylum from genocide, they were arrested & sentenced to three months in jail but remained incarcerated for six years on charges of illegal entry. According to the UN, at least 200 more Rohingya refugees remain incarcerated for illegal entry. What’s monstrous about this handoff by the Indian government is that the Burmese genocidaires claim the Rohingya are illegal immigrants in Burma so they are stateless & denied citizenship in Burma & thus, under false pretenses, unable to seek asylum in India. These seven young men are in grave danger since there is no way to monitor or guarantee their safety. Other Rohingya refugees who returned to Arakan state reported being subject to torture. We have every reason to be deeply concerned about their safety. They must be absolutely terrified about what will happen to them. Rohingya refugees in Bangladesh as well as those in India refuse to return home until there are ironclad provisions in place protecting them from the Burmese military & government. Nevertheless, the Indian government has now ordered states to collect biometric data on Rohingya refugees, all of whom they consider illegal immigrants, which they will use to forcibly deport them back to Burma where the Suu Kyi regime & military will be able to finish off their genocide. There are reports that Rohingya activists in India are refusing to cooperate or provide the biometric data for refugees. Rohingya refugees do not stand alone in India. They can unite with activists from Kashmir, the oppressed castes, other persecuted Muslims, other refugees to demand rights of asylum. Their struggles against forcible deportation from India can be publicized on social media so that international pressure is brought to bear on the Modi regime. How we respond to the plight of refugees from war, occupation, plunder, genocide will mark this generation & this political era & establish whether we march forward to a more humane & just society or get dragged down into the gutter of neoliberal barbarism. That’s not an overstatement. The Rohingya struggle against genocide is central to the struggle for a better world. 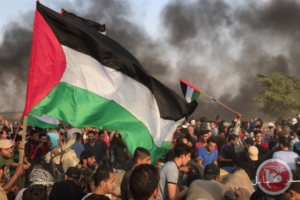 As they have every Friday since March, over 10,000 Palestinians participated in the Great Return March today, marching to the apartheid barrier with Israel to demand the end of the blockade of Gaza & the right of return for Palestinian refugees. There are no reports yet on the number injured & killed. Israel & the US, Zionist organizations, & network media can lie without shame & portray Palestinians as terrorists but that does not change reality that they are among the most remarkable, unrelenting freedom fighters in human history. A victory for their struggle against colonialism, apartheid, genocide would change the course of human history to the favor of the oppressed everywhere. That is why the lies against them are so monstrous. That is why our support for them can never be allowed to flag. Most reports about the death of the young pregnant woman in Kashmir repeat claims by the Indian occupying army that she was caught in crossfire between militants firing a grenade at an army camp & soldiers defending the camp. It’s not a believable story, especially for its complete lack of detail & the claim that a few guys with a grenade would take on an army camp with an entire arsenal. Is there any documentation for that grenade? Or for the attack? According to Kashmiris who live near the camp, no one who lives in the area witnessed any such grenade attack by militants & no militants have been arrested for it. But of course. What they do witness is the the Indian occupying army routinely firing off rounds almost every night. Which is how a young civilian pregnant woman was gunned down in “crossfire”. That’s how most of the hundreds of civilians get injured or killed under military occupation in Kashmir. 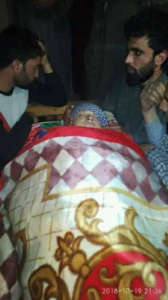 This young woman named Firdousa is a civilian who was gunned down today by Indian occupying forces in the Pulwama district of Kashmir. She was the wife of Khursheed Ahmad Sheikh &, according to the doctor who declared her dead, she was six-months pregnant. The details of how she was killed are sketchy; news reports say only that she was killed in crossfire between militants who fired a grenade at an army camp & the Indian occupying army defending itself. Yeah right! The chances of this scenario having much to do with reality are slim–especially when we consider that the majority of those injured & killed in Indian army operations are civilians & not armed militants. These so-called stray bullets & cross firings are euphemisms for targeting civilians with the purpose of destroying resistance to occupation & colonialism. Our condolences to the family & friends of Firdousa & to all Kashmiris. May she Rest In Peace. Stand with the Kashmiri freedom struggle. Demand the end of occupation & self-determination for Kashmir. 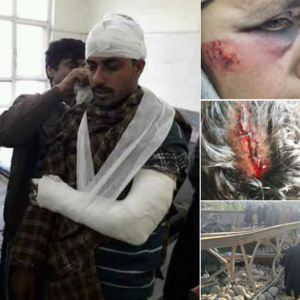 These are Kashmiri civilians assaulted by Indian occupying forces during one of their rampage of hunt to kill operations. These men & women are not what the US Pentagon euphemistically calls “collateral damage” but are intended targets to intimidate & destroy resistance to the occupation & to thwart the struggle for independence. During this Facebook suspension, I watched more network news than I normally do. There wasn’t one word about Kashmir, the Rohingya struggle, or Idlib. Not a peep. Although there was extensive coverage of non-events like the resignation of Nikki Haley. There was one TV report yesterday about Gaza & an article in the local paper. The McAllen Monitor reported on the death of a Zionist settler & refused to publish my letter about the deaths & injuries of Palestinians at the Great Return March in Gaza. 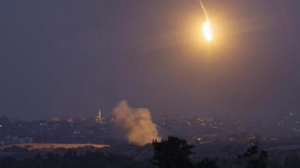 The TV report on Gaza discussed how a single rocket attack from Gaza traumatized Israeli residents & did not mention the sustained trauma of aerial bombardment of Gaza by Israeli war planes or the hundreds of Israeli sniper attacks on unarmed Palestinian protesters in Gaza. If we want to understand why social media companies are censoring Palestinian, Kashmiri, Rohingya, & other activists, it is to silence the voices of freedom struggles against war, occupation, genocide. In response, we redouble our efforts to support & strengthen their voices & political power. 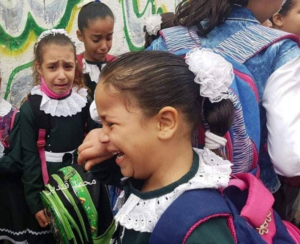 Palestinian schoolchildren traumatized by Israeli bombing in Gaza, October 17, 2018. I return today (October 19th) after my third 30-day suspension from Facebook for violating their community standards. The latest offending post was a protest, in entirely temperate language, against Islamophobia & a defense of the Arab Spring uprisings. That accords with FB’s deletion in 2012 of 300 to 400 of my posts analyzing the Arab uprisings. I learned during this suspension that Facebook has also been deleting posts of mine, mostly about Kashmir or Syria, without notifying me. Meanwhile, fascists, Assadists, nationalists, & pro-war groups continue posting in accord with Facebook’s ‘community standards’. Go figure. During this suspension, I lost about 20 friends & over 80 readers. That of course is the purpose of these suspensions. I am not alone in this regard since many Palestinian, Kashmiri, Rohingya, & other activists are routinely suspended or terminated by Facebook & by Twitter. Social media is the new arena for defending civil liberties. Glad to be back. Thank you so much to those who expressed birthday greetings. They felt more like expressions of solidarity.